While it may be true babies love being cradled in your arms, toting them around all day isn’t really feasible unless you have arms of steel and a bunch of assistants to do your bidding. That’s where a baby carrier comes in! A quality carrier lets you do your own thing, hands-free, while your little one relaxes safely against you. 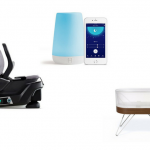 You can be productive, and connected to your child, all at the same time. Here’s our list of the best baby carriers to keep baby safe and secure when you’re on the go. 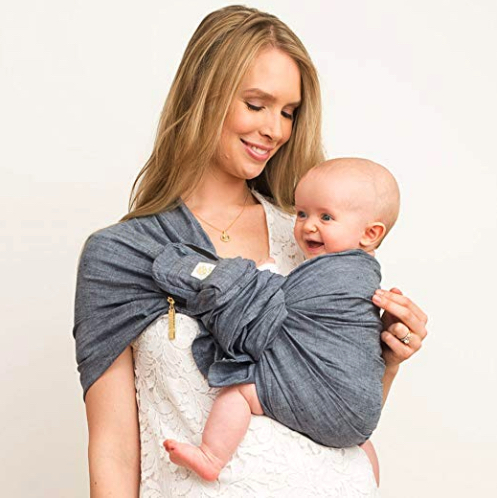 The Baby K’tan has the benefits of a wrap, without you having to actually do any wrapping. 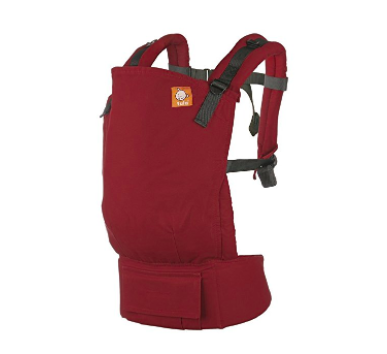 This 100 % natural cotton soft carrier keeps little ones close and cozy from 8-35 pounds. The double-loop design evenly distributes weight across your shoulders and back in any of the carrying positions. Plus it’s easy to figure out! The Baby K’tan goes on like a T-shirt in three easy steps. Simple. As an added bonus, you can have a private nursing experience with the Baby K’tan. The wrap is a closed loop with arm holes, so it’s easy to get on when it’s time for breastfeeding. The stretchy fabric provides a screen and holds baby to your breast. 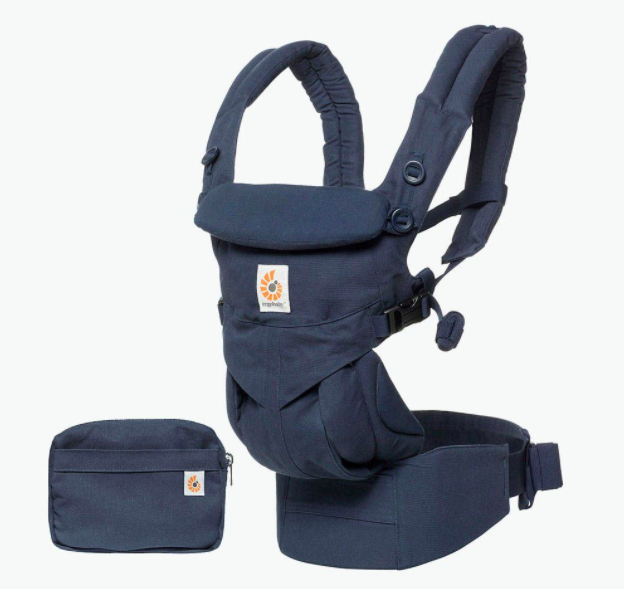 The Ergobaby 360 carriers are simple and cool looking, with a weight limit of 33 pounds. This one of the best baby carriers for maintaining the ergonomically correct “frog” position for baby, which is very important to promote healthy hip and spine development. The 360 is a “4-position” carrier which means it can be used in the following ways: back carry, hip carry, front carry facing in, and front carry facing out. So basically you get a carrier that can be used both by parents who want to support their baby’s legs in a wide position, as well as by those who desire a carrier in which their baby can face outwards. The wide, comfortable waistband is very supportive. In fact, these are some of the best baby carriers in terms of parent comfort. They have well-padded shoulder straps and distribute weight well. Both styles of the 360 Ergo are easy to use, comfortable carriers that keep baby in the correct ergonomic position for safety, even when forward-facing. A great choice! A sling is one of the best baby carriers for a young infants. The LÍLLÉbaby’s Ring Sling is lightweight, so it’s no strain on you, and breathable, making it safe for baby’s long sleep sessions. This sling is suitable for babies from 7-35 pounds. You can easily adjust the fit with a fabric-padded metal ring, which sits comfortably against your chest. In addition, the removable pocket pouch provides storage for a truly hands-free experience. The Tula Baby Carrier offers ease-of-use in multiple positions, and is available in various patterns to match your unique personal style. Tula’s streamlined and fully adjustable design has been carefully crafted to ensure comfort for you and your child, from 7lbs. (with the infant insert) up to 45 lbs. The wide panel and waistband help evenly distribute weight. 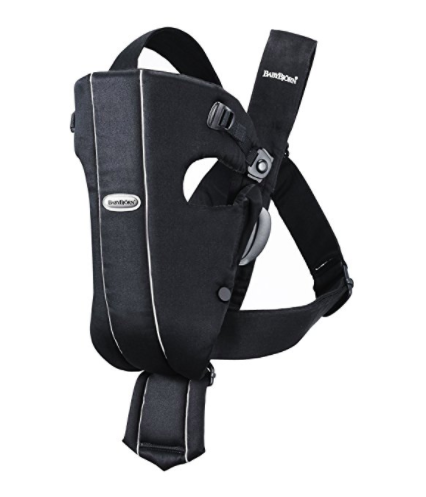 Padded shoulder straps prevent pressure or pain. It’s made with quality, breathable fabric, and it’s easily adjustable to fit many body types. You, and your baby, can move as one. The Tula offers Front and Back carry positions. It has all you need to achieve the natural, ergonomic position best for long term, comfortable carrying that promotes healthy hip development. 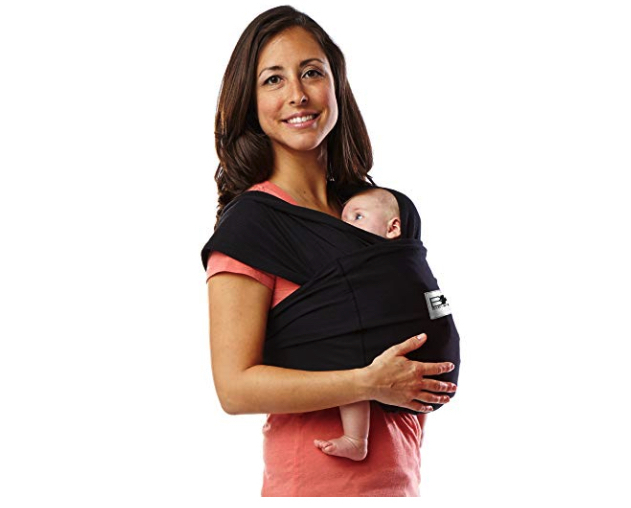 Overall the Tula is an elegant, easy-to-use, supportive carrier for your baby. 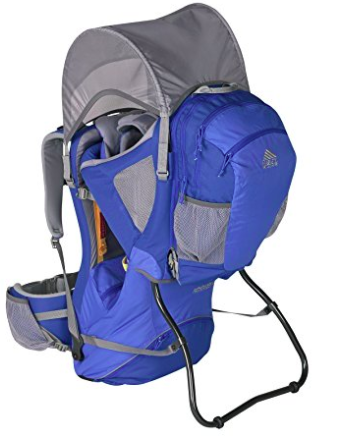 Kelty include every possible amenity into the Pathfinder 3.0 Kid Carrier to ensure a positive parent/baby hiking experience. From back-friendly features for adults to a supremely comfortable cockpit for baby, the top-of-the-line Pathfinder will make heading outdoors for a hike your go-to weekend activity. This is the mother of all hiking baby carriers. Backpackers and day hikers always want lots of storage space. This carrier includes 1300 cubic inches of space across 4 zippered pockets, and one zip-off backpack. The placement of the buckles is right on. Not only is there a 5-point restraint, but the ability to slide the leg straps down onto the thighs adds more security. The Pathfinder has a weight max of 40 pounds. It includes a sunshade, mesh pockets, and a kickstand for the ground. 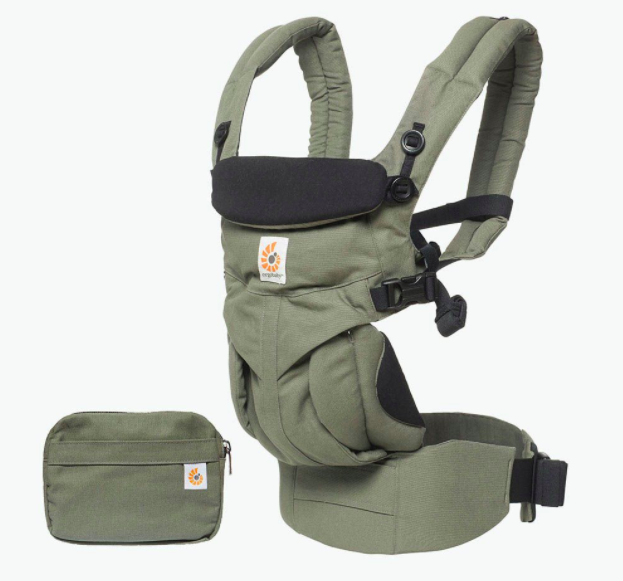 This is the ultimate carrier for active, outdoorsy parents! This is a great, economical baby carrier for families on a budget. The Infantino Flip Advanced carrier’s unique, convertible seat works for infancy through toddler years. Use the narrow seat position and padded head support to comfortably hold small infants. Switch to the wide position to continue to provide an ergonomic, facing-in seat while your child grows. Adjustable straps create a comfortable fit for parents of all body types. You can securely carry infants from 8-32lbs. The Flip Advanced includes a handy Wonder Cover bib to protect your clothing and carrier from messes. It’s also machine washable. A great carrier for the money! The BabyBjorn Original is perfect for parents who want a quick, secure way to carry their little one during the early months. All it takes is just a couple of buckles compared to more intricate wraps. It’s simple to get babies in and out…even if they’ve fallen asleep. Plus, it’s light enough to toss in your diaper bag or store in the stroller basket making it super portable. The Baby Carrier Original is designed with newborns in mind (up to around 6 months), providing you with all-important closeness to help you form a close bond with your newborn. It’s specially designed to fit your baby right from birth, without an infant insert. 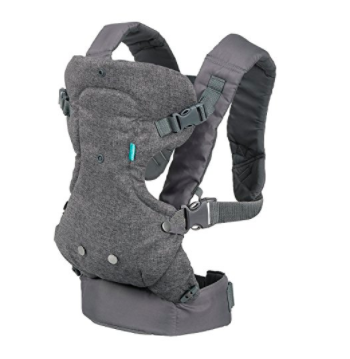 This carrier has a firm, adjustable head support for secure and proper support of the baby’s head and neck. So if you’re looking for a relatively simple, stylish, well-built and reliable baby carrier for a reasonable price, this is a great option for you! SHARE the best baby carriers on Facebook and Pinterest by clicking the buttons below.